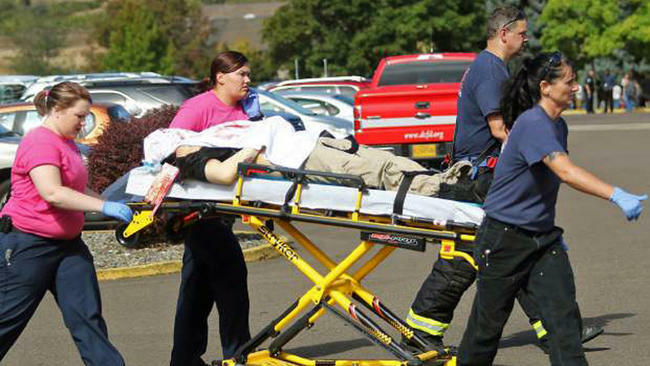 Tonight just a short thought about the latest mass shooting in the United States, this one at Umpqua Community College, in Roseburg, Oregon. I won’t say much, except that I have a hard time imagining that a society such as ours would continue to tolerate events like this on such a regular basis. Maybe I feel this way because I have been held up at gunpoint in my hometown in 1979. Maybe it is because I have been to war and been shot at by enemy forces. Maybe it is because I remember when the elementary school that I attended when I was a child, Grover Cleveland Elementary School in Stockton California became the scene of a massacre in 1989, some 17 years after I had gone there. Maybe it is because I know too many people who have be affected by gun violence. Whatever the reason I find it troubling. For the first time in a long time I turned on the television news, and listened to President Obama speak about this. I had to agree with everything that he said; the fact is that such massacres have become routine to us, almost as routine as is the violence of the so-called Islamic State in Iraq and Syria, or the “Troubles” of Northern Ireland. The fact is that after every one of these events; Stockton, Columbine, Virginia Tech, Newtown, Tucson, Aurora, the Washington Naval Yard, San Ysidro, Fort Hood, Charleston and so many others; many of which never hit anything but local media really do not move us to do anything. We have accepted them as part of life, and despite our protestations, our “prayers” and our outward sympathy for the victims we seem unwilling to do anything about them. Guns are certainly a part of the problem; but there is something far deeper that we should be concerned about in all of this, it is who we are as a people. These events are not new, they have been occurring for well over a century in our country; lynching, bombing, gangland shootings, some committed by individuals, some by criminal organizations. But in addition to the true murderous sociopaths, many more seriously disturbed and even mentally ill individuals, who should have no access to weapons, commit many of these shootings. As yet we do not know much about the shooter, his motivations or his victims. 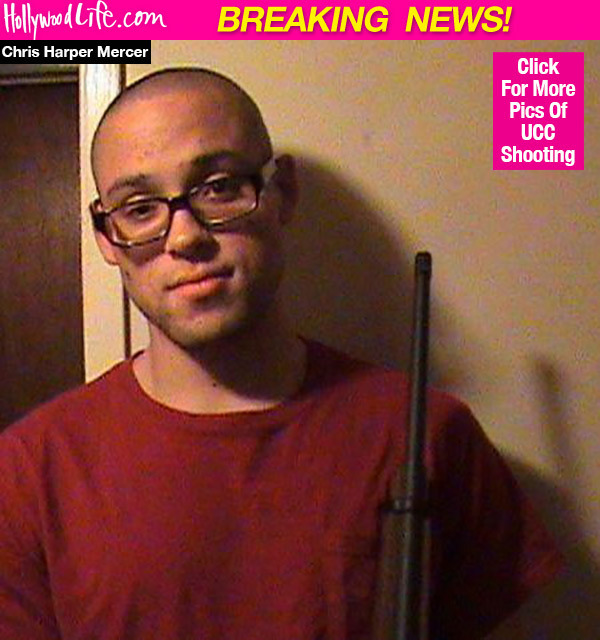 We do know that his name is Chris Harper Mercer, a twenty-six year old student at the college. According to a dating profile said that he was a “conservative Republican” who “doesn’t like organized religion.” But most of us only care about those details to either titillate our need for information, or to back whatever our political position is regarding laws about gun ownership. The fact is that we don’t know why Mercer did this; evidently during the attack he was asking people to state their religion as he shot them. We will find out more as the investigation unfolds, but again to most of us the details won’t matter as our minds are made up, and we accept this as a way of life. Some say we should take drastic measures to control guns; others that we should have more training and screening of potential guy buyers; others say ban certain types of weapons; still others say to eliminate all restrictions on gun ownership; while others say to increase the mental health screenings to keep mentally ill or potentially disturbed people from purchasing guns. Sadly, those who most loudly proclaim eliminating restrictions on any kind of gun ownership, even for the most lethal weapons are the same people who support politicians who constantly vote down funding for mental health care and restrictions on law enforcement in dealing with guns. The fact is that no matter which side is argued people continue to die in gun violence everyday, and not just mass shootings like the one we saw today. I think the President is right, Americans and our legislators at local, state and federal levels need to find solutions that protect constitutional liberties for responsible gun owners with the safety of the public. Honestly, I don’t know how that happens; far too many lobbyists, special interest groups with conflicting interests, and the gun industry are involved. But I have to say, with unfettered honesty, I really don’t think that we care, we have become used to the routine of this; we are no longer shocked, we are no longer offended, and we lack the political will, the compassion, or the courage to do anything substantive about the problem. But most of all I think that we, as a people have lost any sense of empathy for those who are killed and those who are affected by such senseless violence. In the words of the Nuremberg War Crimes Trials Psychologist, Gustave Gilbert, is the absence of empathy. President Obama was right; we have accepted these killings as a routine part of life. We say “how terrible, someone should do something” and then turn our backs until the next time. We should politicize the issue and through our political process try to find ways to deal with this with the appropriate checks and balances; because it affects every one of us. Every year over 10,000 people in this country die of gun violence committed by others. That number does not include the 20,000- 30,000 people who use guns to kill themselves every year. How many more people need to die for us to recover any sense of empathy? How many more people need to die?